Breakdowns of air conditioning can strike at any time of the day or night. The systems may even break down when you need it the most. Imagine the uncomfortable situations arising in a commercial premise when the system is out of order on any given day suddenly. With Air Temp Air Conditioning you can very well avoid such situations as we provide emergency AC Repair in Port St. Lucie. 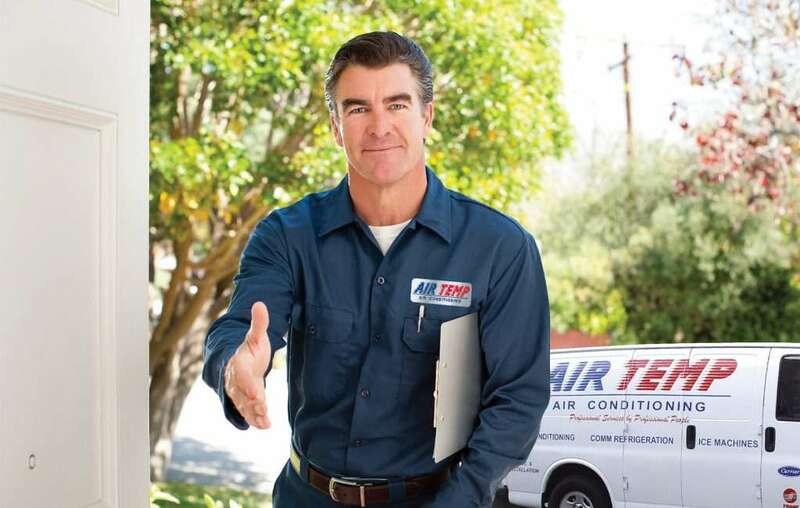 If your air conditioning goes out of order, Air Temp Air Conditioning offers a 24 Hour AC Repair/Emergency Air Conditioning Repair In Port St. Lucie with a very quick response and repair time. The wide range of knowledge of our technicians over anything concerned with air conditioning will get your AC up and running in no time. Whenever you need an urgent Air conditioning assistance even if it is the middle of the night, we are here to help you. We send out the first available technician as soon as possible. We understand the discomfort caused when an air conditioning stops working. Be rest assured that your AC is under safe hands with us. We also make sure that you clean up the work area before leaving and leave your house as good as it was when we arrived. You do not get to choose when your air conditioning system goes out of order but you do get to choose the best emergency air conditioning repair services In Port St. Lucie. Air Temp Air Conditioning has been helping the residents of Port St. Lucie stay comfortable for the past many years with its profound knowledge. When is an emergency ac repair needed? Air conditioning system may sometimes experience an electrical issue like the tripping of the breaker, burning electrical smell or dimming of lights when the AC is switched on. Such situations require an emergency AC repair. Ice formation on the coils or clogged air filters causes water damage to spread quickly in your property. The excess moisture from this attracts pests and leads to mold growth. To prevent this, an emergency 24 Hour Ac Repair has to be called as soon as possible. Situations may arise when your AC simply won’t work. The first thing to do then is to check the circuit breaker and the thermostat. If the system does not activate even then, it is time to have your AC fixed immediately. A prominent warning sign that calls for an emergency AC repair is the strange noises that disrupt the calmness of the compressor or fans. You may hear a hissing sound or the sound of gas escaping. This might either be a motor problem or the possibly the compressor is burning out. The hissing sound indicates a leaking refrigerant. This cause a drop in the cooling power. It requires an immediate repair else you might end up having to replace the entire AC altogether.